Other Salesforce Consulting reviews by real, verified users. Find unbiased ratings on user satisfaction, features, and price based on the most reviews available anywhere. RelationEdge is a Salesforce Platinum Consulting Partner that uses a process first, technology second approach to get customers from lead to loyalty. Our mission is to implement, customize and integrate Salesforce products to create a catered solution for our clients’ needs. 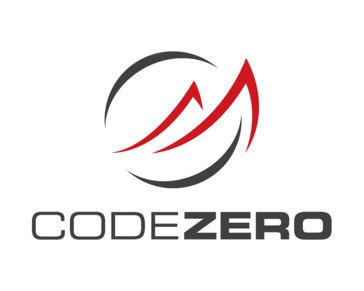 By reviewing our clients’ processes, our team of engineers, marketing technology experts, and internal digital marketing agency work together to help our clients grow their business. For more information, please visit http://relationedge.com. roundCorner's NGO Connect enables nonprofits to manage all of their CRM and fundraising in a single application built by nonprofit industry experts - 100% on the Salesforce platform. By replacing your legacy systems, nonprofits can finally have a unified view of constituents and achieve a greater impact in the world. NGO Connect is a full-featured application that includes CRM, online and offline fundraising, gift processing, payment processing, events, volunteers, reporting, and more. ATAPY Software provides a range of contract software development services in the areas of OCR/ICR, document imaging/management, data input, and machine vision solutions. Compro Technologies helps EdTech innovators create practical and affordable learning technology solutions. Docmation is a Salesforce consulting partner with focus on Salesforce communities implementation. eLink is an Enterprise consulting company, one of the oldest Salesforce.com business partners delivering value on the platform since 2003 to numerous small/mid, non-profits and Fortune 1000 organizations. We have delivered numerous apps on the AppExchange, ITunes and Android Market for clients and in-house products. Our experience in Supply Chain, Energy, Logistics, Finance, Technology, Insurance, Medical Devices, Healthcare, etc is extensive. We can help your organization with business strategy, system architecture through implementation and testing. Exafort is a silicon valley based company, we provide professional services to help institutions harness the potential of emerging Cloud Computing technologies. 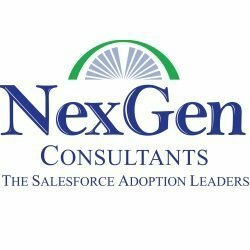 As a Salesforce Silver Consulting Partner and Product Development Partner, Extentia focuses on creating Lightning Ready solutions, AppExchange development, and third-party integrations. Our agile methodology and our integration expertise brings you the best catalyst to craft solutions of exceptional quality and distinctive success. Gravity Infosolutions maximizes the ROI of your investments in cloud for development, integration, deployment and support. With leading expertise in Automotive, Communications and media, Financial Services, Healthcare, HighTech and Manufacturing industries. Maantic is a leading systems integration and consulting firm that specializes in implementation of business applications, including BPM, CRM ERP, EAI, and BI. Penrod is a Cloud Consulting Agency and premier Salesforce.com Partner. Hi there! Can I help you find the best Other Salesforce Consulting solutions?